American Idol 2004 Weekly Scoreboard: Fantasia Wins!! 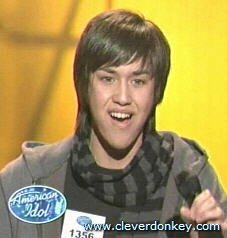 American Idol 2008 Top 24!! Sigh. Another season has ended, albeit with a surprise ending (Kris Allen defeating Adam Lambert), but the finale wasn’t watched in my household. Again. We didn’t watch last year, either. And although we watched most of the episodes this season, we still watched many fewer than last season. I can see you all huddled in your planning meetings, hoping to strike some more William Hung-like ratings gold by putting through idiots, freaks, sad losers, and people whose singing talent is measured in the negative range. However, that schtick is old and played out and should be retired. 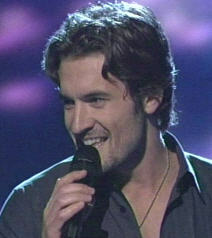 As the judges are so fond of saying, and what keeps me watching, is that this is a singing competition. Having your screeners put through some croaking clown to sing before the judges is a ludicrous and transparent ploy, please stop it. During tryouts, you pick supposedly interesting/appealing contestants and provide us with behind-the-scenes looks at their lives, toils, challenges, and troubles. However, at this early stage these are anonymous singers, so the program would be much more interesting and lively, in our opinion, if you would simply stage the singing competition. Now, when you get to Hollywood and start paring down the contestants to an identifiable bunch, we might like to learn a *little* something about them…but just a little. The endless biographing and attempts to manufacture pathos and drama are irksome. Who? Why? The best way to describe her is to paraphrase Shakespeare thusly: “Kara is but a walking shadow, a poor player that struts and frets her hour upon the stage and then is heard no more. Her’s is a tale told by an idiot, full of sound and fury, signifying nothing.” Kara did not have one moment that we saw this season that wasn’t useless, irritating, or both, or somewhere in between. And don’t get us started on her “song”, which is addressed further down in this article. Do you have to kowtow to that demographic? Have you even stopped to consider how many viewers it drives away (like us) compared to how many it attracts for that one, single episode? Country music is not what American Idol is about, period, so don’t try to put a pig behind the lipstick – it insults the fans of both kinds of music. Really? Just shorten the damn show by 15 minutes. Please? Even 15 minutes of dead air would be preferable. If you have never heard of a particular Beatles song, especially a HUGE Beatles song, like 'Hide Your Love Away', you should not admit this. You sound like an idiot. You do not sound like a singer. You sound like a dope. And every time you repeat this fact you sound more and more stupid. Mentioning that you picked it out from the title. That you heard it for the first time today. Etc. You sound like an idiot. I weep for the future. Either one is painfully awful to contemplate. I suspect our contestants may have rather wished to move onto Styx Week or Guns N Roses Week or Poco Week or Phoebe Snow Week or Vanilla Ice Week or Leo Sayer Week or anything other than Beatles Week, again. Just too hard. Only one person really knocked it out and that was David Cook, rockin' it out Peter Frampton style on "Day Tripper". Wow. Talk about something to LIVE UP TO!! Brooke White was clearly nervous and having a hard time playing to the crowd from behind the piano but freaking feeling it, which is what the Beatles are ABOUT. She did a great heartfelt “Let It Be”. 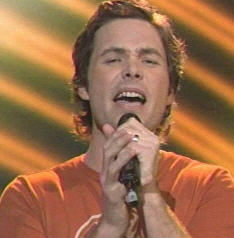 Michael Johns rang clear as a bell with “Across the Universe”. As Engineerboy put it, “you’ve got to be naked to sing that song”. I think he means emotionally naked, so I agree with that for sure. I couldn’t believe the judges didn’t love that performance, it was strong and really moving. 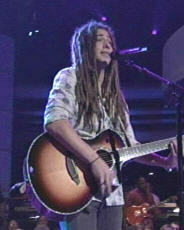 Jason Castro – Did a really good job with “If I Fell In Love With You”. That song is a lot harder to sing than it sounds, and he did a great job. 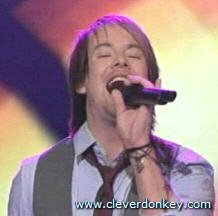 David Cook – Eleanor Rigby was rushed and didn’t need to be rocked out — until the Chorus that is. The chorus was really good and kind of saved a why-did-he-do-it-this-way performance. Not bad. 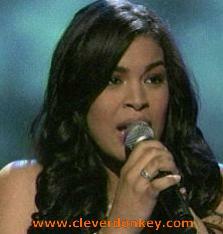 Ramiele Malubay – In My Life is one of the greatest John Lennon songs ever. Boring rendition and the crazy cocktail dress and spectator pumps were distractingly dressy for such a low-key song. Amanda Overmyer – This almost worked. It was a good song choice but Simon was right, it was hard to understand her. I think I only liked it because I want to like her and I already knew the song. If I hadn’t heard the song before that would’ve been a muddly mess. Syesha Mercado – Murdered “Got to Get You Into My Life”. Horrible. Soulless. Off key. 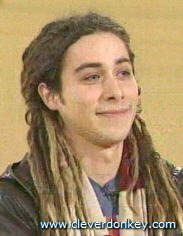 David Hernandez – Hated the Ferris Bueller look. Hated the runs. Hated the cheeseball dancing around. Totally imagined him as a gay stripper. Sorry, dude. That was awful. 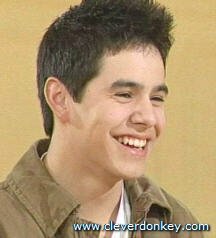 David Archuleta – I would not have thought he could do badly. His voice is so pure but he was 100% uncomfortable trying to do a jazzy rendition of “We Can Work It Out”. I’m glad he’ll be here for another week. I think he tried too hard not to be what Simon called “gloomy” but we would’ve loved to hear his angel voice on “Yesterday”. Kristy Lee Cook yodele’d it up with a horrendous Kentucky Headhunters-esqe bluegrass-and-methamphetamine version of “Eight Days a Week”. To her credit, it was the first time she’s looked comfortable and her voice actually sounded good. But that was absolutely beyond words awful. Very few people can sing Heart. Carly Smithson is one of them. 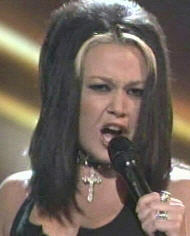 We've heard some disastrous Heart covers before on Idol, so I was a little worried about anyone attempting it. However, Carly really did a decent job — she didn't quite slay it, but it was definitely mortally wounded. This is what's great about Idol — when you hear this girl sing you think, how is it she doesn't have a freaking recording contract?! Nice to know that after this season she probably will. She is a fabulous singer. I agree with Simon's assessment that she's absolutely the best of the women vocally, she now just needs to pick really perfect songs for her. Crazy on You was a good choice but there are probably ones that would showcase here even more. Hunh. Me and "Mr" Jones. Cool to take a song like this and change the gender around. And she did a decent job on it. But I'm bored. Yeah, she can sing and belt and has decent range and control. And no originality. And she has that actress' canniness of where the television camera is. Call me old fashioned and even a bit cranky, but I don't want to feel like I'm getting manipulated. I mean, I'm young enough that I grew up on MTv (back when it played videos) and I'm comfortable with the singer-singing-into-the-camera paradigm, but in American Idol I still want a little bit of the "omniscient impartial camera" feel like the contestant is actually there, in the auditorium, singing that song for the live audience and the judges, rather than just flashing sly looks and shiny lips to the camera. Started off well — and a brave choice, singing Carly Simon's You're So Vain! But she cannot rock the low notes, her voice just falls off the low end of the slide there. And, it must be said, her guitar playing was distracting at the beginning… it overpowered the vocal and she didn't seem comfortable enough playing it. Other than Brooke not being able to sing a good 22% of the song, it was a decent performance. Her voice during the soaring parts it was really quite lovely. At the very end she had a little husky tone to her voice and it was a really nice treat. But overall I would have to give it a grade C.
Our Favorite Aussie does a bleennhh job with a Fleetwood Mac song. Engineerboy hated it but I thought it wasn't too bad, just a bad song choice. Our favorite dreadlocked whiteboy from last week sang the Bee Gees in a feelgood acoustic number that wasn't fabulous but would've been decently enjoyable were he playing at an outdoor festival or at a chilled out pub of some sort. But I might have to agree with Randy — the whole package is reasonably charming but he may not actually be a stellar vocalist. I personally don't care but I realize the American Idol producers want the pop singer (which personally I think might be short-sighted of them). Hopefully he sticks around to get a chance to pick a better song next week. Dude, he looks like Bruce Campbell's less successful younger brother whom you couldn't possibly imagine successfully delivering a line like "Gimme some sugar, baby". Which then leads to the next point, which is that if he couldn't possibly deliver spoken words with any kind of panache, he certainly can't freaking sing QUEEN!!!! Paula said it was great but it was HORRIBLE, nasally and weak and uninspired. I mean he didn't screech through it but it it was awful. 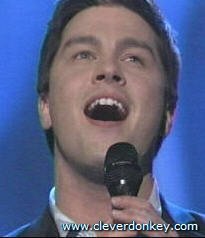 He sang that almost too feminine-ly for a Queen song (uh… did I just say that?). And as Simon said, he didn't have any charisma or charm… or the ability to carry off a song like Queen's Killer Queen. Click here to see our recap of this week’s performances by the men. 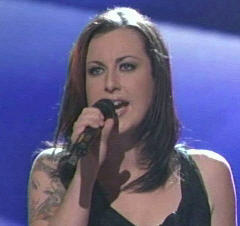 Click here to see our recap of this week’s Idol eliminations. Well, tonight it was the girl’s turn, continuing The Sixties theme. All around there were quite a few lackluster performances, and only one standout – Carly Smithson. As for the rest, was it nerves? Bad picks by the judges? Poor song choices? Bird flu? Who knows, but the fact that the judges said as many positive things as they did leads me to believe that they’re scrambling to recover from a poor batch of lady contestants this year. Sang “Rescue Me” in a very uninspired performance. And maybe this was because she’s a horsewoman, but she stood with a Larry-Craig-worthy wide stance throughout her performance…was she trying to dazzle us with misdirection? It didn’t work. 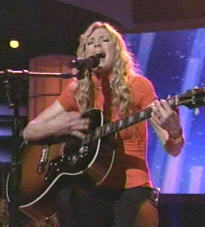 Performed “I Say a Little Prayer for You”, and it was a very flat and forgettable performance. The song has a lot of orchestration and backup singers and her voice kind of disappeared in the mix – which she may have done purposely to hide her nerves, perhaps? All in all very disappointing. Covered “I Love You More Today Than Yesterday”. Her performance was technically pretty good, but completely soulless. The judges liked her, but perhaps they see potential there…you can teach performance skills, but if you can’t sing you can’t sing. Sang “Baby Please Don’t Go”, which included one of the great performances by the Idol band, but only honky-tonk-screeching from Amanda who also seemed to be hiding any singing ability behind the band – you could only hear her during the screamed parts. We still like her but her voice was too small tonight to take on the song and front the band, but we hope she sticks around so we get to hear more from her. Letting the contestants play instruments was a stroke of brilliance. Not only did it help us see the true performers who are really comfortable up there on stage, but it broke the monotony of Hollywood Week and – thank GOODNESS – meant that we didn’t have to have any more group auditions with pimple-faced-stress-pups forgetting the words to “Baby Love” by the Supremes. Carly certainly did better in her audition than at Hollywood, but you can tell that she can actually sing. I just wish she didn’t sound like she was forcing out that voice. Dude and what’s with the blue tongue? A little too much rehearsal chloroseptic? I like this guy, he is really comfortable singing. I agree with Simon, though — he might be less comfortable when he doesn’t have a guitar with him. This girl really surprised us. When they did the pre-story on her during auditions, I was so already over her with the crazy blonde bits and the no-helmet-wearing-idiocy on the motorcycle. I was waiting for her to be some kind of screechy twit. We were really surprised by the power of her voice, although we’re not sure she can keep up that rocker’s rasp throughout the whole competition. This kid is just too nice and cute!! A surprisingly strong voice for such a young kid. And he’s just too polite. I’ve got no analysis here. Don’t remember seeing her before, but she clearly has the cute adorable look. She tensed up during the first Hollywood performance, very distracted by playing the piano. But she does have a good voice and seems honestly very sweet. Interesting to see how her nerves stack up over the next week or two!! Good voice but a bit over-the-top with the mannerisms. Can’t wait to see where we go from here. I predict the judges will get annoyed with him. Never heard him before. But he kinda looks like a doper, we decided. Click here to see our recap of this week’s performances by the women. The boys kicked it off with The Sixties. Some real talent this year. And several we’ll have forgotten by the time we’re chattering at the water cooler on Friday. An uninspired rendition of… oh I don’t know what. Decent voice, but yawn. He was nervous, didn’t move around the stage very much. His left leg sorta kept the beat in that pelvis-forward-but-brutally-awkward stance that 15 year old boys have at their first high school dance. And, honey, that shirt looked like the “before” picture in a Spray-n-Wash Spot Remover commercial. 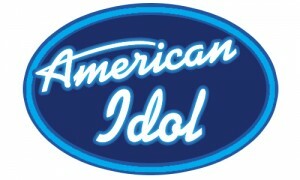 I like that American Idol lets people return for multiple seasons, even if they’ve been to Hollywood before. It’s smart for the producers — they don’t put someone in the permanent ‘no’ pile and lose out on a money making opportunity — and it’s great for the contestants — if they just need a little polish or a little voice training or a little confidence or whatever, they’ve got the better part of a year to work on all of that. A drawback to this scenario, however, is that it seems to be spawning the “professional contestant”. Chikezie has the whole schtick down, man… he lost some weight, got the fly persimmon-colored suit, and sported some clearly rehearsed ‘natural stage presence’ bullcrap. But he’s lost that ingenue’s wide-eyed wonderment at the whole process — rather than being amazed by it all, he’s determined to master it. 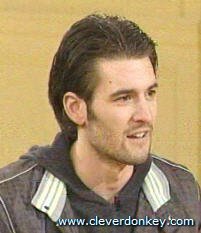 So he’s got the smooth patter with the judges (not even letting Simon talk) and the smart alecky one-liners. Oh yeah, and now he’s just down to one name. I’m so over him already. Wow, super nice guy; totally not enamored of himself. Happy Together by The Turtles was an inspired song choice for 60’s night but unfortunately he was a bit uneven. He’s got the stage presence thing down but I get the impression that he didn’t know the song that very well, because he proved in his original audition that he can do difficult vocals with a lot of range. But the judges loved it, and it was a great take on the song. I’m hoping it was just nerves, because he seems really original and genuinely a good person. 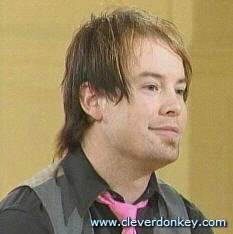 I wish he would just comb the hair back, though. The flared-forward rooster tail isn’t fooling anyone dude. 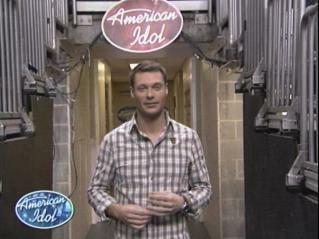 Well, here we go again with another season of American Idol! Tonight’s premiere got things started in the traditional style, with wildly varying singing skills, as well as a large standard deviation on the sanity scale. The shtick of putting through painfully untalented contestants for either tragic mockery or pitiable foolishness is growing old. This is a singing competition and the things that count are voice talent and charisma, period. It’s also nice to get the backstory for the contestants, such as the young lady tonight whose daughter had a neuromuscular disease – she sang her heart out, made it to Hollywood, and couldn’t have had a brighter or sunnier personality, in spite of the challenges she must face as a young mother. I’m not sure if I respect or detest the AI producer’s decision to stick so closely to the show’s formula. On the one hand, it’s nice to see a show that doesn’t have a neurotic need to be “new” and/or “different” and/or “revolutionary”. AI has a good formula and they stick with it. On the other hand it is also a bit predictable. But in the grand scheme of things, given a choice of something “new” (and probably stupid) and “old”, I’ll take the tried and true, even if it is a bit stodgy. Overall the contestants were what you would expect for the opening tryouts. A dash of crazies, a handful of pathetically misguided souls, a whole lot of mediocrity, and the tiniest pinch of really good singers. It’s still too early to spot any great ones, but there was some great potential and we’re looking forward to seeing the rest of the tryouts and getting to freaking Hollywood! 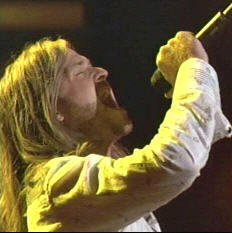 5/23/2007 – Grand Finale, the New American Idol Is Named! Jordin Sparks: Thank you, American voting public, for making the overwhelmingly correct choice!!! 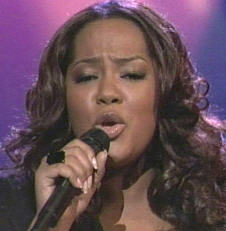 We’ve watched Jordin grow from a wide-eyed, raw talent into a mature, composed, humble superstar. Congratulations Jordin!!!! And Blake showed real class tonight, and seemed genuinely happy for Jordin when her name was called instead of his. Nice job, Blake! And the show itself was simply terrific. There were two clunker notes in the show – Gwen Stefani and Bette Midler, but other than that it was a stellar production. Gwen Stefani once again lip-synced her way through a completely lame and pointless song, made even more egregious by the fantastic nature of the rest of the night’s performances. And poor Bette Midler just simply doesn’t have a voice any more – we couldn’t watch her whole song and had to fast foward through it on TiVo due to our hearts breaking. But other than those two the rest of the performances were almost overwhelmingly good. Kelly Clarkson rocked out an intersting, edgy number, the top six men returned to the stage in matching white suits and sang a medley of songs with none other than Smokey Robinson! Later, the top six girls came out and sang a medley with none other than Gladys Knight!! I was in heaven!!! Then, in a wonderful bit of creative thinking (not to mention artistic risk) by Idol producers, Blake Lewis traded beats and lines with the original beat-boxer himself, Doug E. Fresh, tripping to “The Show”. Now, this could have sucked and fallen flat, but they rocked the house with a fantastic interplay, strong rapping, great beat-boxing, and an overwhelmingly funky performance! Then we had a classy performance of “For Once In My Life” by the incomparable Tony Bennett. Mr. Bennett’s voice is not quite the lyrical instrument it used to be, but he arranged the song so that he could reach the highs and lows, and then went out with a big, big, finish. Fantastic!! 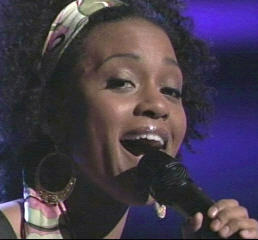 Melinda Doolittle then did a commercial for God with BeBe and CeCe Winans. And that’s all I have to say about that. Carrie Underwood did a moving version of “I’ll Stand By You”, and there was a cheerful and bouncy song by the African Children’s Choir. Then, in another creative and risky move, the Idol producers let Sanjaya Malakar take the stage one more time, to sing “You Really Got Me” accompanied by Joe Perry of Aerosmith on-stage. They even had crying-Sanjaya-fan-girl back in the audience, and she was crying with gusto. Sanjaya still can’t sing worth a damn, but the performance sure was fun!